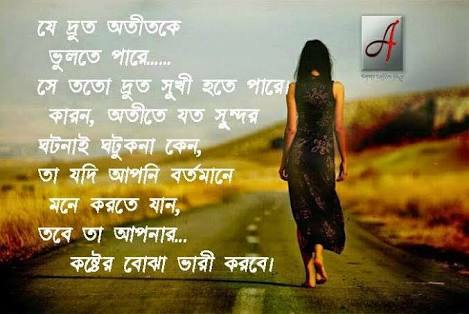 Fuler Jemon Vhomor Ache.Tamon Nodir Ache Cul,Tumi Amar Jibon Tori Onek Asar Mul ,Valobashar Sagore Vasbo 2i Jon Mele.Thakbe Na Kono Dukkher Daw.Thakbe 2mr Amar Valobasha.Thakbe Sukher Bosobas. Fule Fule Sajiye Rekheci A Mon, 2mi Asle 2jon Mile Sajabo Jibon. Chokh Vora Shopno R Buk Vora Asa,.. 2mi Asle Download Dibo Unlimited Valobasa..!! Fuler Moto Fute Ace Akasher Oi Tara, Eka Amy Valo Lagena Bondhu 2my Cara. Tumi Cara Ai Monta Kicu Bujena, Pakhi Hoye Amar Kace Ure Asona..!! Futbe Jokhon Baganer Sob Ful,Tokhon Uthbe 2mi hese, Tokhon 2my Moner Kotha,Bolbo Ami Khule, Ekbar Jodi Bolo 2mi, Valobaso Amai, Sorgo Sukh Ene Dibo Valo Bese 2may..! Fuler Shourov Bataser Jonno. Akasher Nil Megher Jonno. Pakhider Gan Vorer Jonno. Ar Amar Hridoyer Sob Tuku Valobasa Shudu Tomar Jonno. !! Ghumata jai 2my shopne dekbo bole, Ghum theke jagi 2my niya vabo bole, Bacte cai 2mr sathe thakbo bole, morte cai porokale 2my pabo bole.... Only u"""
Ghumate Jai Tomake Sopne Dekhbo Bole, Ghum Thake Jagi Tomake Niye Vabbo Bole , Bachte Chai Tomar Sathe Thakte Chai Bole, Morte Chai Tomay Porokale Pabo Bole. Govir hoyeche rat.prithibi gumeye geche. Hoyto tumio gumeye gacho. Amar gum aschena duchokhe. Buji gumer se rat geche furiye..
Gopone tomai valobesechi prokas korini, bolbo bolbo bole kono din tomay bolte o parini, mone mone prosno jage tumi ki valobaso amay, aral theke gopone ami shudu valobese jacche tomai. Hajarta Kosto Nia Koster JiboN Hoy Na-HajarTa Shuk Nia Shuke Thaka Jai Na.Kosto Shuk Milia JiboN-Jiboner Modhe Ace Mon-Moner Modhe Ace Valobashar Manus 1KJon.Ar Tumiey Hole Shey Jon.......!jr jr valobashar manus tr namta dia dao! Hariye Jete Icche Kore, Ojanate Tumi Niye. Ghor Badhote Mon Cay, Dujon Mile Nirjone. Ami Hariye Jabo, Nirjone Ghor Badhbo. Jodi Tumi Thake Amar Pashe. Harono Manustike Hariyeci Ochena Ak Jhore, Jhor Sese Pabo Ki Dekha Nirobotar Ekakittota. Obak Ami Hariye Tomay Tumi Ki Sukhi Hariye Amay?? Hate Hat Rekhe Dujone Hete Jabo Eki Sathe Shagur Pare. Tumai Rakhbo Ei Mone Khub Jotone. Ek Shomddro Valobasha Dibo, Jodi Tumi Chao Amai Valobeshe.Ki Nibe To Amar Valobasha?? Hey...! 2mi ki, j amr adhar ghorer mombati. Hey...? 2mi ki, j amr nil sagorer dhew. Hey...! 2mi ki, jake ami bolachi... I love u. . .
Hothat EsechiLe Choker ALote Hariye FeLechi Ek JhoLoke._ Tobu-o 2mi ChiLe Choker Konote._ Karon Ami J 2make Valobeshe FeLechi.__ 2mi O Ki Valobasho AmaKe??..!! Hotat 2Ujone Keno Avabe Haralam-Sunno Ei Pothe Aaj Keno 1Kai Daralam?Tobuo Aajo Aco Tumi Amar Sop Partho Nay-Akhono Ami Valobashi Shudhuy Tomay..
Hoyto Ak Din 2mr Moto Amio Vhule Jabo.Mone Mone Atai Kamona Korche-Ar Dowa Korci.2mi Ki Vhab Cho Ami 2make Vhule Jabo Na-A Kokhono Ei Hobe Na.Ami Amake Vhule Jabo Kintu 2make Na. Hoyto tumi bujbena amar nirob choker kanna .. hoyto tumi bujeo bujbena amar hridoy vang ga kahinir korun kanna jani tumi amakhe valo bashona .. tobuo konodhin ami tumakhe vulbona.I Love U.
Hoyto tumi vule gecho amay, Ami vulini 2my. Hoyto tumi vabcho na ar amay, Ami vabchi je 2my. Chotto chotto asha niye 2my valobasa. Hriday ciriya jodi deka boro hoto, dekatam ami tomay valobasi koto. Hridoyer Borshay Brishti jhore,Akash Patal kore koto dakadaki..Shara Raatri,2mar shopne nirghun"jege Thaki..koto shadh Nibir kore Sudu 2make valoBAshi..
Hridoyer Mondire Thakbe Tumi Rani Hoye, Premer Chadore Rakhbo Joriye. Jeyo Na Kokhuno Vule Tumi Chara Lage Na Valo. A Pronoyer Shima Nei Jana Khujhe Pabo Ki Thikana..Valobeshe Jabo Sudhui Dujona..
Hridoyer Majkhane Rekhechi Jare, Mritur Ageo Bolbo Ami Valobasi Tare, Hridoyer Majh Khane Jake Diyechi Thai, Mritur Poreo Bolbo Ami Tomakei Chai. I love you matro 3ta word, but porte laga 3second, vabte lage 3minut, bojate lage 3days, R proman korta lage sara jibon. I have two years but i cant see u, I have two hands but i cant touch u, I have only one heart but i always miss u. So pls pls pls come back to me and loved me pls. I love U Jaan. I m going to write on all thebricks I MISS U and i wishthat one falls on ur head,sothat u knows how it hurtswhen u miss someone speciallike u. . Rê$åt . . .
J Amar Jonno Poth Cheye Bose Thakto Ami Kokhon Asbo Tar Kache, Ase Tar 2 Gale Kiss Kore Misti Sure Bolbo I Love You Ei Kothata Suner Jonno J Ghontar Por Ghonta Amar Jonno Opekkha Korto Se Aj Kothay? Vule Ki Gece Amy?? ?